Feel free to post any plays you might have on the main board below! This board is for the discussion of any news, earnings, filings, press releases, stock related or not. A jump in stock price can be considered FRONT PAGE news. Feel free to spread the news around! News can make us happy or give us the blues. JOIN us @FRONTPAGESTOCKS on Twitter and IHO! Our site and social media community exists to provide a forum for smaller companies to tell their story to individual investors. This helps individual investors to investigate compelling investments. We are a link between small public companies and the investing public. The company’s plans, profiles and information are written with the individual investor in mind. Our goal is to explain the complex, reduce the jargon, and provide a clear and engaging story of each company’s strategy and growth potential. 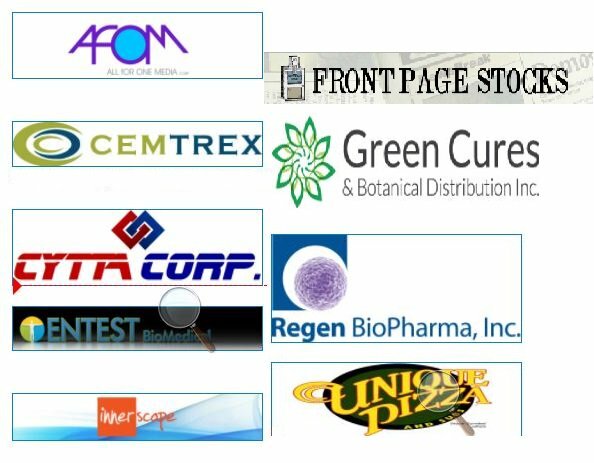 Bringing you this information requires our staff to work closely with each featured company, as we are small cap stock investors ourselves. We want what you want – an understanding of what the company does, how they make money and how they intend to grow with frequent company updates. Small cap investing is unlike buying shares of an S&P 500 company. It is generally a longer term commitment that generates an emotional link with the company. An understanding of opportunity and the company plan generate the interest. Continued updates and information provide the basis for a satisfied and supportive investor base. Here at Front Page Stocks, we understand that relationship ultimately closing the gap between investor and company. We promise to present to you engaging, real companies with real products and services. We hope they will captivate and excite you in return. ©2018 Front Page Stocks. All Rights Reserved. Nothing in the contents transmitted on this board should be construed as an investment advisory, nor should it be used to make investment decisions. There is no express or implied solicitation to buy or sell securities. The author(s) may have positions in the stocks or financial relationships with the company or companies discussed and may trade in the stocks mentioned. Readers are advised to conduct their own due diligence prior to considering buying or selling any stock. All information should be considered for information purposes only. No stock exchange has approved or disapproved of the information here.